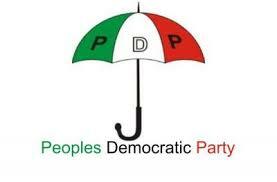 The Peoples Democratic Party governors have expressed displeasure over the relocation of the Taraba, Rivers and Akwa Ibom states’ election petitions tribunals to Abuja. The governors said this at the meeting of the PDP Governors’ Forum, which held in Abuja on Tuesday night. At the meeting, which ended in the early hours of Wednesday, the Governor of Ondo State, Dr. Olusegun Mimiko, was also elected as the chairman of the forum. Mimiko succeeds ex-Governor Godswill Akpabio of Akwa Ibom State, who is now a senator. Addressing journalists shortly after the meeting that started at 9:30pm on Tuesday, Abia State governor, Dr. Okezie Ikpeazu, said his colleagues were not happy about the relocation of the tribunals. “We condemn in very strong terms the relocation of election tribunals in Rivers State, Taraba State and Akwa Ibom State to Abuja,” Ikpeazu said. Ikpeazu said, “We congratulate President Muhammadu Buhari on his election as the President and Commander-In-Chief of the Nigerian Armed Forces. “We also commend and salute our former President, Dr. Goodluck Jonathan, for his display of peaceful disposition in the 2015 general elections, which has stabilised our political landscape. “We equally congratulate Senator Bukola Saraki, Yakubu Dogara and Suleiman Lasun on their emergence as the senate president, the speaker, House of Representatives and the deputy speaker respectively.